The Baseline Tennis Center has 10 indoor hard courts and 12 outdoor hard courts. 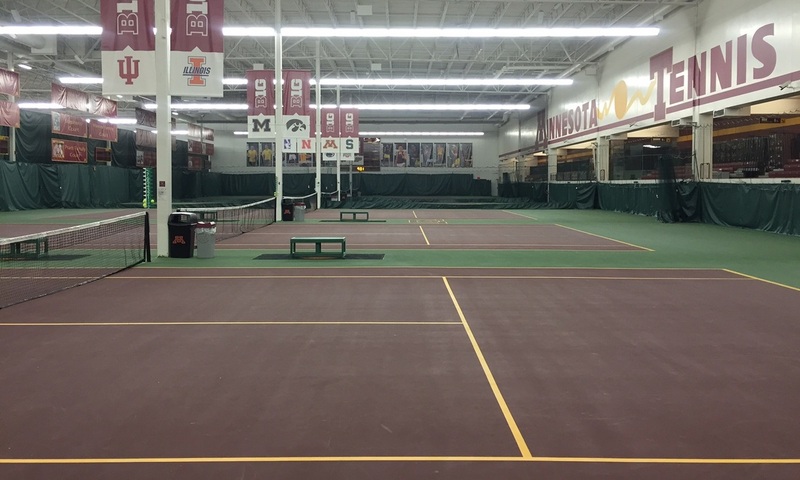 Indoor courts can be reserved 1 day in advance by calling the Tennis Desk at 612-625-1433. Outdoor courts are available on a first-come first-serve basis. Please Note: Only flat-soled non-marking shoes (tennis, basketball, or skateboarding shoes) are allowed on Baseline tennis courts. Absolutely no running, cross training, or trail shoes are allowed on the tennis courts.